The sequel to Huawei's 2018 P20 flagship, the P30 banks on a high-caliber Leica Triple Camera, which could put it alongside some of the best photography phones listed here on Phonerated, and some high-octane hardware components. Having said that, we cannot help but wish that it came with more than 3650mAh of battery power , since a few of its flagship rivals bluster with at least 4000mAh on that front. The 2340 x 1080 FHD+ definition of its 6.1-inch OLED display sounds like a slight con as well, knowing that some of the best phablets around boast screens with QHD/QHD+ (1440p) definitions. Going back to its camera, the Huawei P30 combines a whopping 40-megapixel wide-angle cam with a 16-megapixel ultra-wide-angle cam and an 8-megapixel telephoto cam for its triple rear camera system . Leading its imaging pros is Huawei's self-branded AI Image Stabilization and the combination of phase, laser, and contrast focusing. 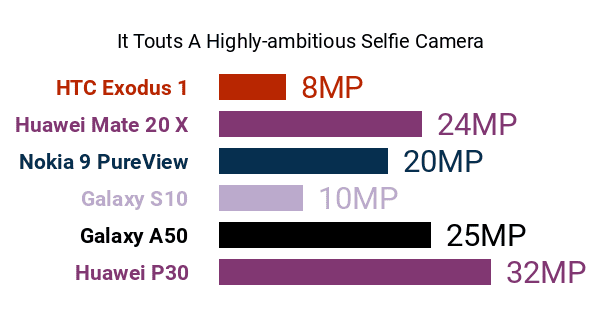 The P30's front-facing camera, which comes in the form of a 32-megapixel f/2.0-aperture cam , is far from a pushover as well, possibly faring well versus the selfie shooters offered by some of the best selfie-driven smartphones available as we were reviewing its specs. This P-series model's pros and cons are powered by one of Huawei's most-advanced engines as of its release -- the Kirin 980 triple-cluster octa-core processor that consists of a dual-core 2.6GHz main cluster, a two-core 1.92GHz cluster, and a quad-core 1.8GHz cluster, with dual neural network processing units (NPU) tagging along. Its CPU is bundled with a large 8GB RAM , while an expandable 128GB internal memory takes charge of multimedia storage. The rest of its pros and cons include the Dolby Atmos audio system, an in-display fingerprint scanner , and a splash-ready IP53-rated exterior. It runs on Android 9.0 Pie skinned with EMUI 9.1 and it obviously caters to upmarket shoppers eying a phone that promises some high-class imaging capabilities.